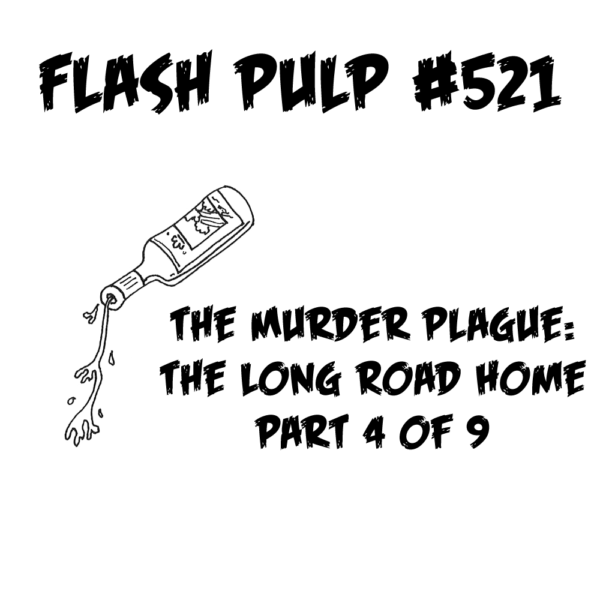 FP521 – The Murder Plague: The Long Road Home, Part 4 of 9 | Skinner Co. Welcome to Flash Pulp, episode five hundred and twenty-one. This week’s episodes are brought to you by This Kaiju Life! Tonight, Harm Carter and his companion, Hamlet the Great Dane, must suffer the slings and arrows of outrageous fortune – though mostly the arrows – in their hunt for familiar turf.